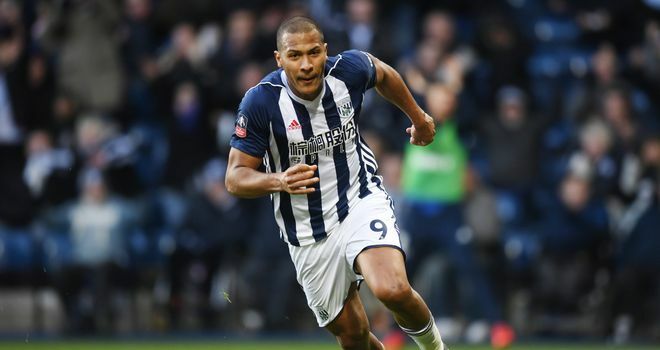 Newcastle have spoken to West Brom over the potential signing of striker Salomon Rondon. Sky Sports News understands the striker has a £16m release clause in his West Brom contract but Newcastle are unlikely to meet it unless they sell Aleksandar Mitrovic. The Serbian is wanted by Fulham on a permanent basis following an impressive loan spell at Craven Cottage last season, but the newly-promoted Premier League side would need to pay in the region of £18m. Rondon would become Newcastle's fourth signing this summer after the arrivals of Ki Sung-yueng on a free transfer, Kenedy on loan from Chelsea and Martin Dubravka from Sparta Prague for £4m. Newcastle manager Rafael Benitez has admitted the club must "wheel and deal" in this summer's transfer market. "Unfortunately it's what we have to do," Benitez told Sky Sports News on Tuesday. "We have to wheel and deal, that is the way for us. And then we try to continue doing the right things. "We are trying to sign a characteristic of players, it's not just names, big names, because they will be too expensive for us, but we are trying to sign players that can do a job for the team. "As soon as the price goes a little bit higher, I know that we cannot buy them, so we have to be realistic with our budget, and then maybe sell some players and buy some players." Unai Emery responds to questions about whether Aaron Ramsey will play for Arsenal again after he was forced off with injury against Napoli.